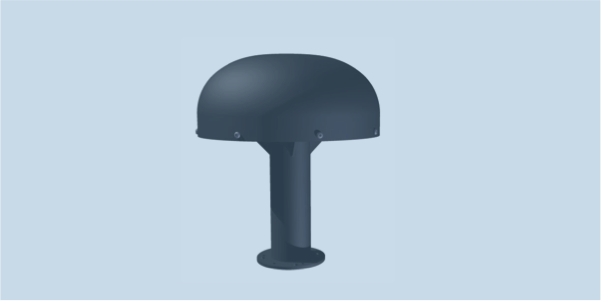 OMNI-A0156 antenna provides two output ports exiting under the mounting flange, for watertight and convenient vehicular installation. One output port covers the band from 20 to 1000 MHz and the second from 1000 to 3000 MHz. The antenna is equipped with active matching and amplification, which provides excellent performance at very low frequencies. Use the MISC-A0022 to inject power into the Band A port. The antenna is excellently twinned with the OMNI-A0098 active VP monitoring antenna to provide full spectrum coverage of both VP and HP signals.